`The 300 Million Year War` - Biomass v Herbivores. 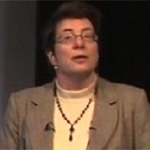 Video recorded in 2009, a public lecture by Sue Hartley, Professor of Ecology at Sussex University. Here Sue tells us some interesting facts about plants (Biomass) and their success in surviving herbivores (animals that eat plants).